Jim Golden has worked in the photography business for over twenty years. 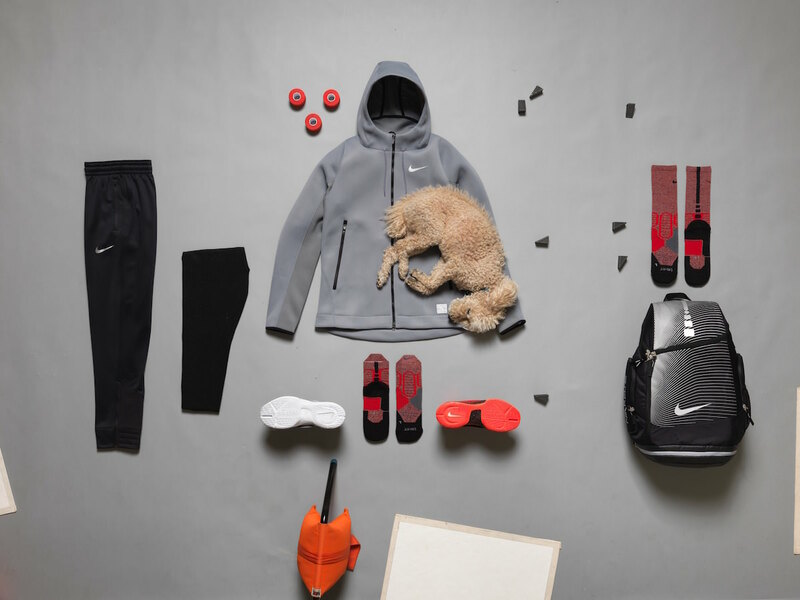 He’s done everything from grabbing coffee as an intern to shooting for Nike. You may have seen his work featured by WIRED, HYPEBEAST, The Verge, PetaPixel, or when it won the Grand Prize in Popular Photography’s 2012 Readers’ Choice Contest. His simple Big Cartel shop really pops with his vibrant photography, and it’s been on our radar for a long time. 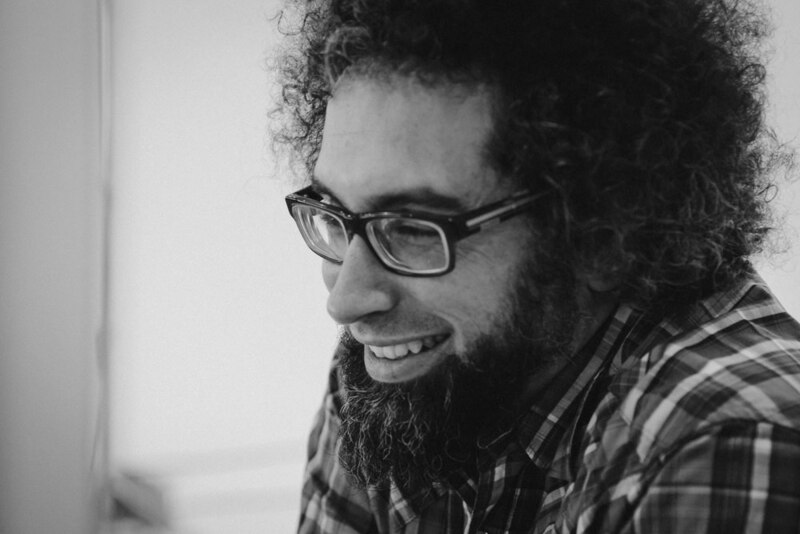 We were thrilled to have the chance to get to know him a little better, hear how he got his start, and to get a look at the process of creating one of his iconic images. How’d you get your start with photography? My father was an amateur enthusiast, pretty serious though - he had a Canon and some lenses, shot chrome film, always had a camera under the seat in the car. And we had a lot of slide shows. That was pretty magical for me as a kid - lights go down and it’s a big picture, the smell of the projector, and the sounds of the tray advancing - plus it’s your dad, so you dig it more. Lots of fall foliage and landscapes, barns, seashores, car shows. Eventually I got a hand me down Canon A-1 when I was in middle school, and started taking pictures of my friends skateboarding and snowboarding. My high school had an excellent darkroom and a good teacher, so I was hooked. Lots of graveyard photos and bands! And more skating. I ended up switching majors in college from graphic design to photography, much to my parent’s chagrin. While I was in school, I assisted some photographers in New York City and it sucked - I was stuck as the coffee boy or vacuuming 4x5 film holders. My plan was to be an artist at night and get a day job. I finally found a job working for Bob Bowen, a retoucher, in the days of Photoshop 2 - I got to develop my skills and learn how to run a small studio business. I can’t thank that guy enough for the opportunity. Fast forward a few years, I was burnt on doing retouching and wanted to leave NYC. I had my heart set on getting a job with Burton, the snowboard company, and although it didn’t work out, I still left NYC for Portland, Oregon to snowboard and try to work those connections on the West Coast. I took a day job retouching, again, and slowly started shooting catalog work (golf apparel!) for the company I worked for. Five years later, a friend and I teamed up to start a studio. I got slapped with a non-compete at my day job I couldn’t sign, so I quit my job and was out on my own with two kids under two, but I had a studio space, a camera, a computer, and all my Nike contacts. I was off to the races. Along with Nike, you’ve also worked with the agency Wieden + Kennedy and the indie publication Kinfolk. How do you approach such big collaborations? Well, for starters, they’re all local. I worked the contacts I made before I was out on my own with Nike and started shooting at their Brand Photo Studio. I also do a ton of marketing and have for years. Social media helps - Tumblr, Instagram - I’ve had a few projects go viral the past four years, word gets around, things get reblogged. Wieden + Kennedy and Kinfolk came knocking after seeing my work. 90% of the time creatives come with some ideas and we refine them in pre-production and then shoot. It’s fun when you get to collaborate a bit from the ground up. At the end of the day, I provide a creative service with a certain look and the agencies and brands want that look. Is there something you wish you’d known before collaborating with major brands? Every job is a learning experience, whether it’s creatively or technically challenging, the business side, or people skills. In the beginning I gave away a lot of my usage rights, I wish I knew more about that. For photographers just starting out, read up on usage and how that works. Ask around, go to an American Society of Media Photographers meeting or two! Ask photographers you know or work with for their advice. Personally, the scissor image was a huge creative turning point for me, so that one will always be dear to me. Plus it’s a cool image. Commercially, there’s been some great footwear and sportswear stuff over the years, but I think the image I made for Simpson Strong-Tie has been my favorite in the last few years. 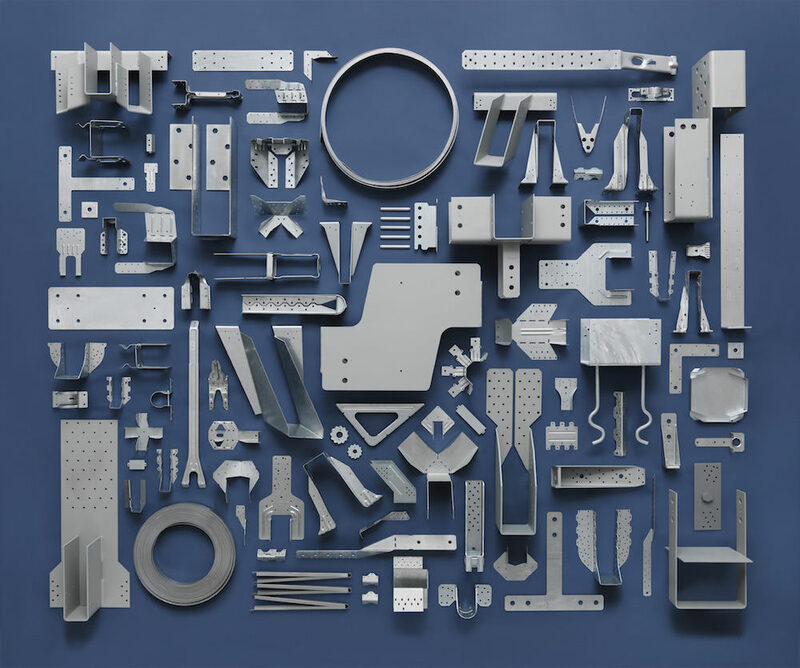 They came to me with the idea that I would use their hardware parts to make an image that was totally different than the stuff they usually did on construction sites. What made it easy was the marketing director was already on the same page before he called me, and I knew the product well from doing work on my house and building skateboard ramps when I was a kid. It’s always fun to make an image for a unique product that you know well. They had a sales bump just from the photo - it worked for them! You’re spending hours and hours on a single image. What is it about the process that you enjoy so much? Watching the image come to life on the screen is pretty amazing. We’re taking some idea and making it as cool as possible, for ourselves first, but then to engage the viewer. It’s a long process, no doubt, but it’s a team effort. I have a stylist helping most of the time, and an assistant too. We’re all working toward the common goal. I have the luxury at this point to have a producer/studio manager who works out logistics. It’s extremely satisfying to see that final image come to life, whether it’s a shoe for adidas, clothes for Levi’s, or food for Kinfolk. How long would you say it takes you to shoot a photo like the Beachcomber Collection from start to finish? The beachcomber image was quite the process. I traveled to the Oregon Coast with my stylist and assistant, who were donating their time, and my daughter hopped in the van too. 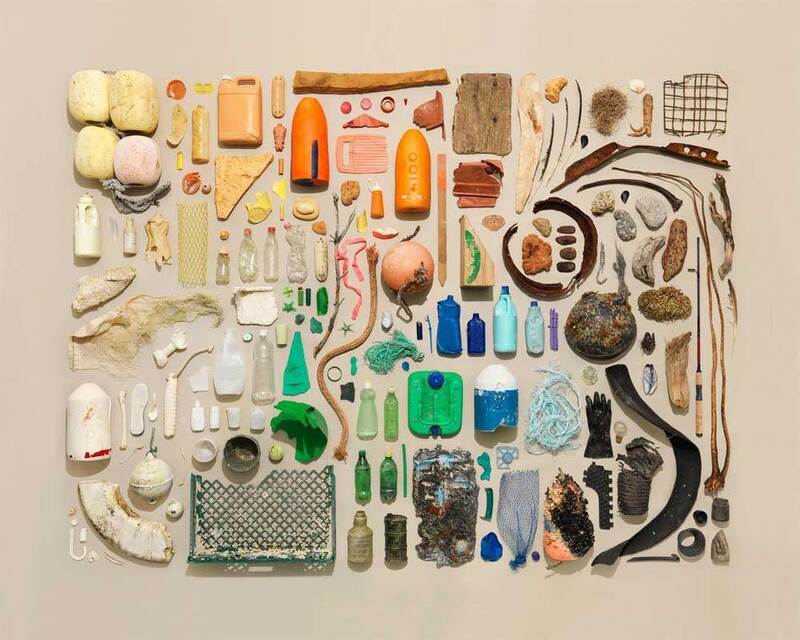 We scoured three beaches for a day and lugged about four times the amount of stuff you see in the image. We had to dry it all out over the weekend. It made the studio stink like crazy! Then Monday, we spent 10 hours laying out the whole composition and making the final exposures. All my collection images are made in camera with very little editing at the end. I make some tonal adjustments and clean up the dirt and stuff, but that’s basically it. The Camera Collection took the longest. 200 pieces, 14 hours to set up. Kristin Lane and I placed all the pieces and Sam Slater worked as my assistant. That was a crazy shoot. What’s a photo you’d like to take, but haven’t had the opportunity to shoot yet? I’d like to do some enormous top-down collection images, like a marina or a naval shipyard. I just need a contact at the Navy! Or maybe just some beach garbage, but really big, from the low tide to the high tide line, 100 feet wide, shot from a helicopter or stills from a drone. The beach is a special place for me. Why’d you decide to start selling your work online? People were asking for prints, mostly friends, so we put up a Big Cartel store. 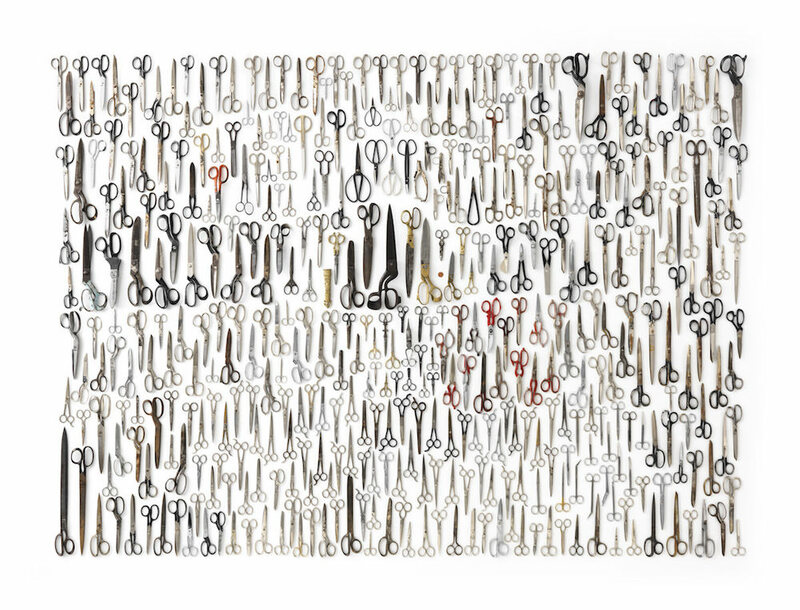 My scissor collection won 2012 Reader’s Choice Image of the Year from Popular Photography, that helped drive a lot of traffic to my shop! How do you decide on listing a new product in your shop? Are you setting up a shoot with the intention of selling it, or does that decision happen later? That mostly depends on if people are asking for it. Conversely, sometimes when the image is done, I think it will be popular, we put it up and promote it a bit, just to see what happens. Both my Collections and Relics of Technology series went viral virtually overnight and that helped raise my profile as well as sell some prints. Both of those projects have been featured worldwide, online, in print, and on NPR and BBC Radio. I had no idea I was big on Pinterest until a client told me that’s where they found me. How do you handle the printing and shipping process for your products? Printing is done by my friends at Pushdot Studio, I’m super lucky to have one of the best fine art printers in the USA, if not the world, in my backyard. Lincoln Miller and his team take care of initial proofing and printing of everything I sell. The print then comes up to the studio for me to hand sign and number, and then my assistant, Amy, ships them via UPS in a tube. We have the setup pretty dialed in at this point. What’s been the biggest lesson you’ve learned from selling your work online? Stick to the formula! Sometimes customers have odd requests, and we have to politely decline. We are a very busy studio, so we stick to the system we have in place to make high quality work. Follow Jim on Instagram and like him on Facebook to see all his latest work, like these huge wall ads for Travelocity. If you’re itching to hang one of those photos up on your wall, don’t forget to pick up a print from his shop.